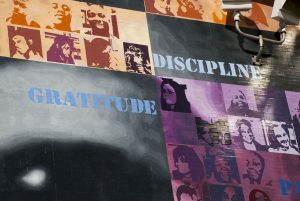 The Discipline Office is responsible for assisting schools with the student disciplinary process via the Student Code of Conduct and the Disciplinary Hearing Process. The Code of Student Conduct establishes policies, rules, and expectations for all school community members to learn, teach, and work together. Consequences for students who endanger school safety or disrupt the educational experience of others are listed in detail. The Code of Student Conduct applies during school and on the way to and from school, including, but not limited to travel on School District vehicles, private transportation, and public transit systems. Families and guardians are critical to our community. We ask that they please read and understand the Code of Student Conduct and School Student Handbook, and discuss them with their children. We understand that families and guardians know best how to make sure that their children understand the expectations that will lead to a safe and orderly school community. This Code of Student Conduct provides definitions of disruptive behaviors. Although some definitions include examples, the behaviors include, but are not limited to, the examples given. Parents, guardians, and caregivers who have any questions or concerns related to discipline are encouraged to contact the school principal and/or the Office of Student Rights and Responsibilities at phone number 215-400-4830. Multilingual versions can be found here.